Magnificent renovated apartment with excellent quality finishes and materials and a terrace, just one street from Soho House. 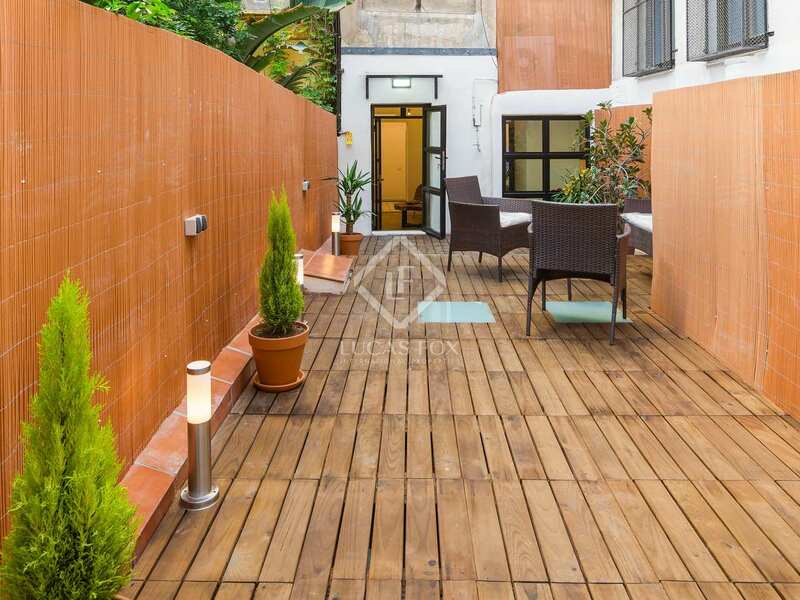 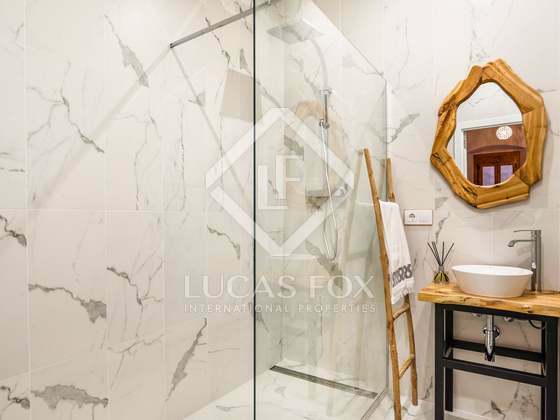 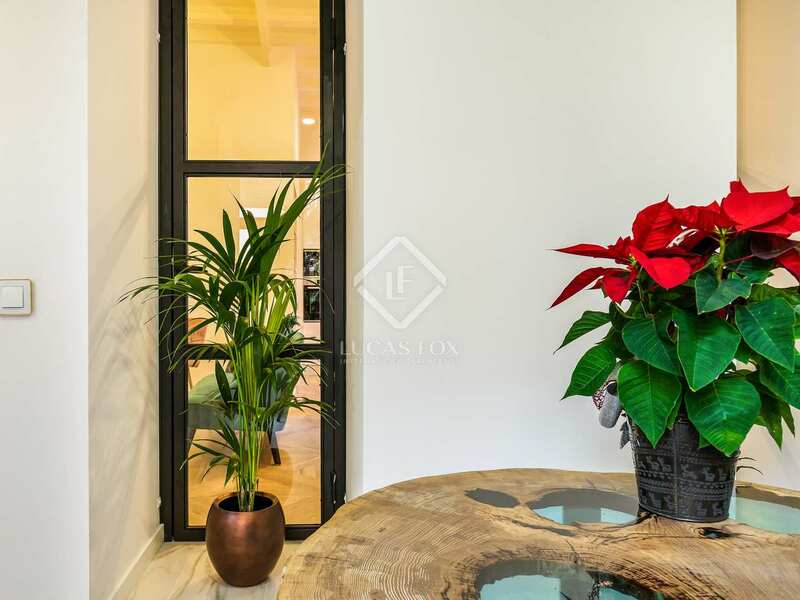 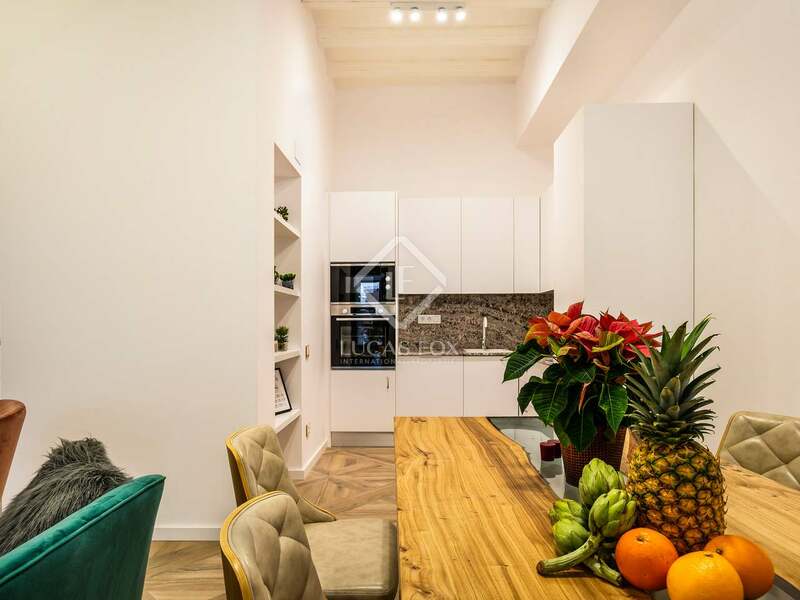 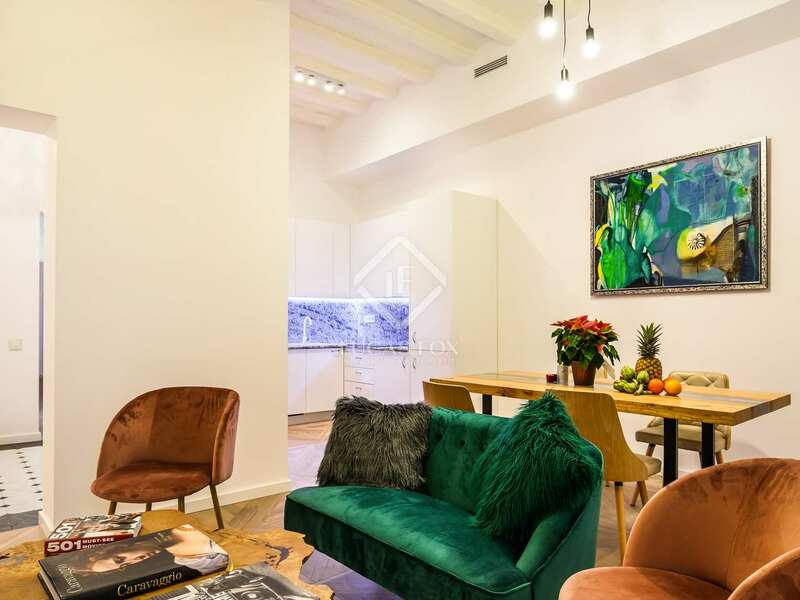 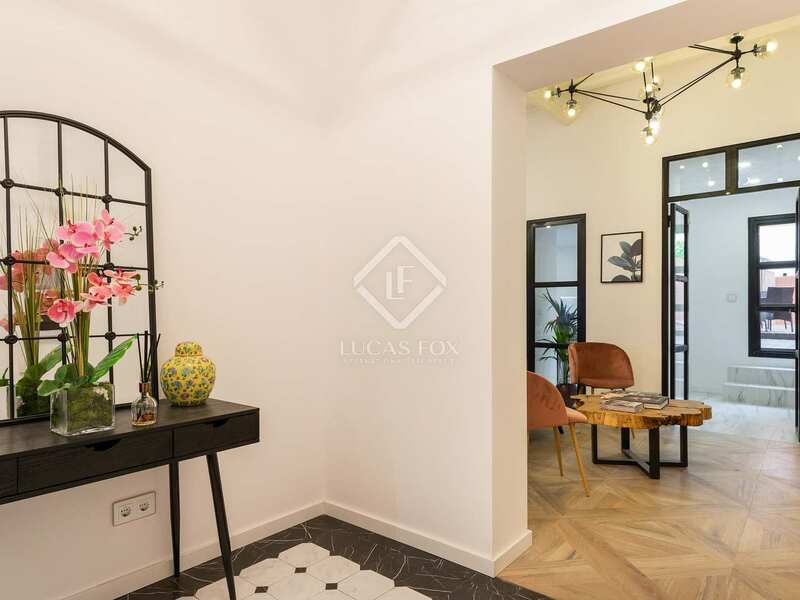 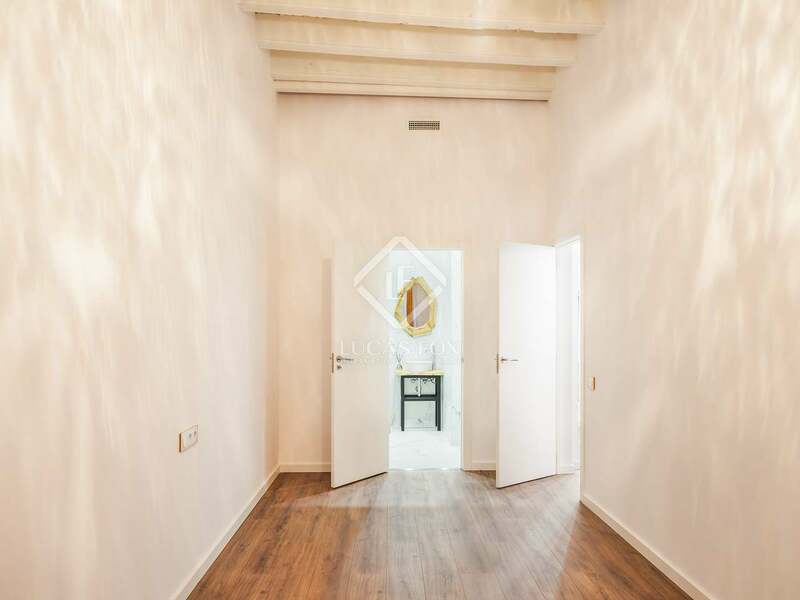 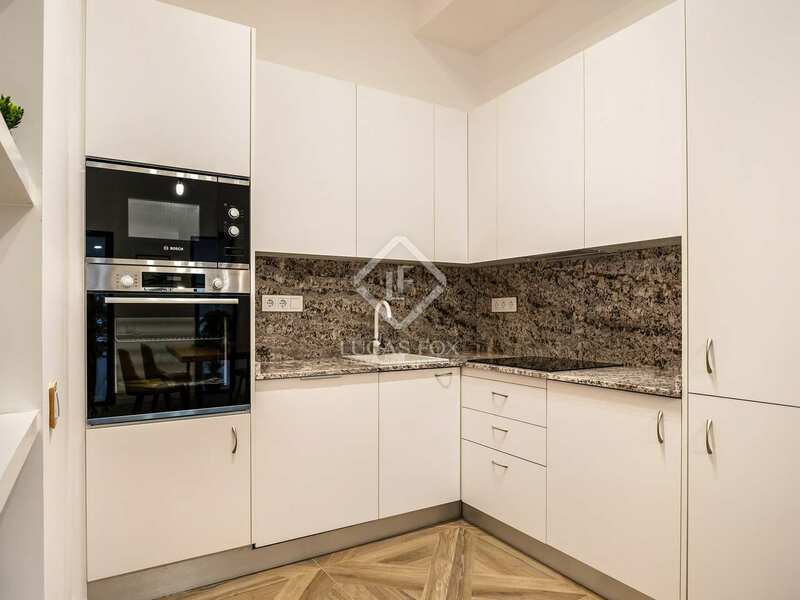 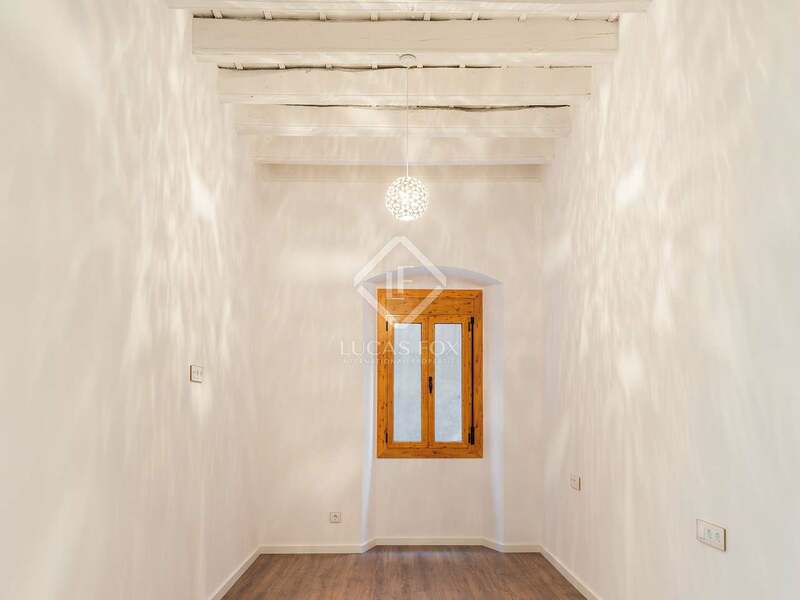 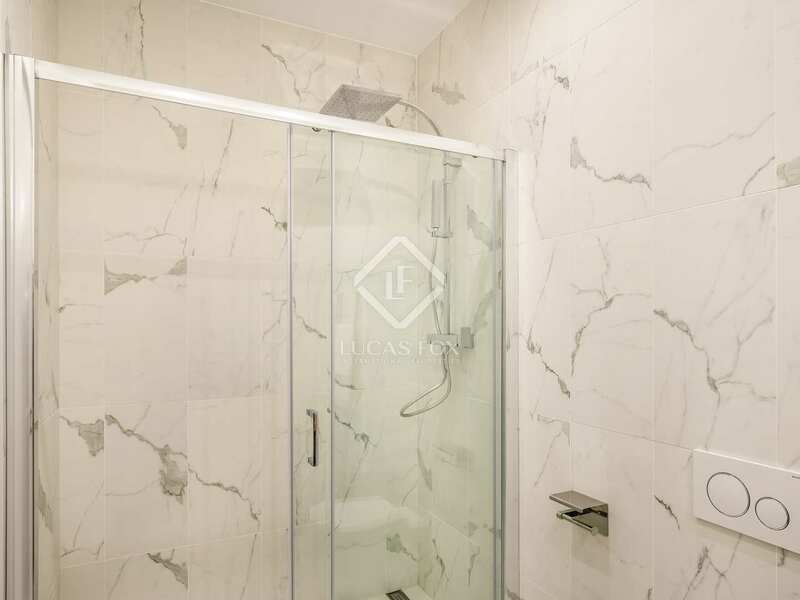 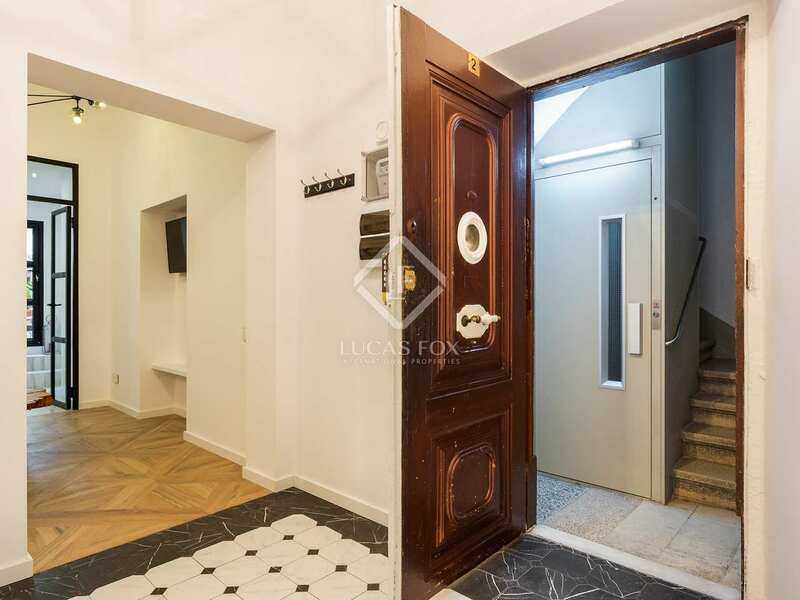 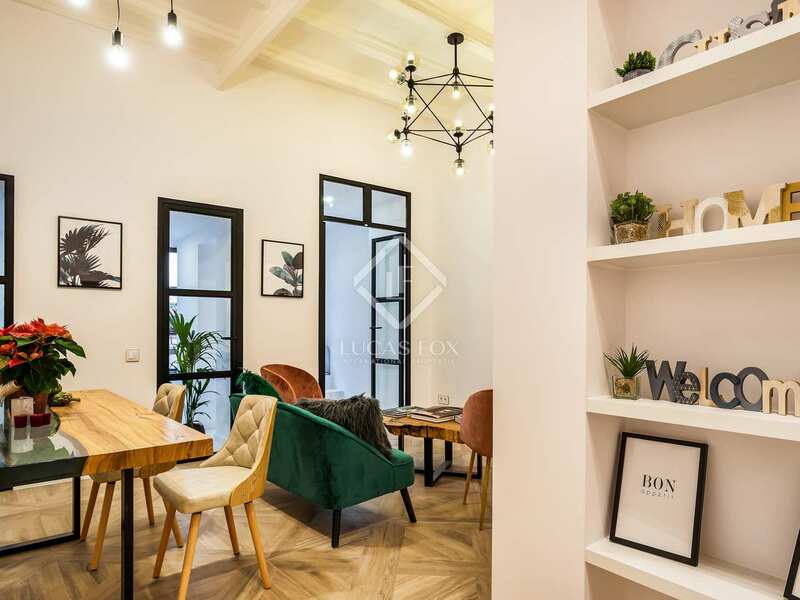 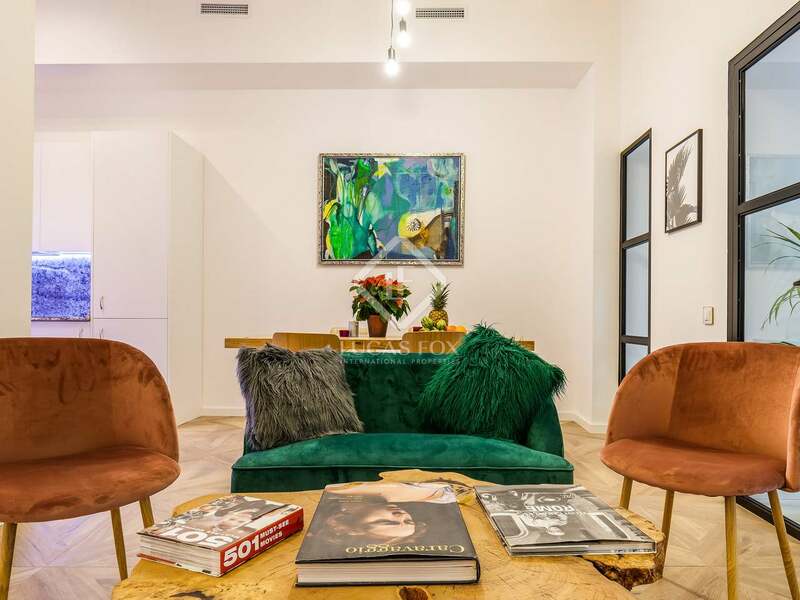 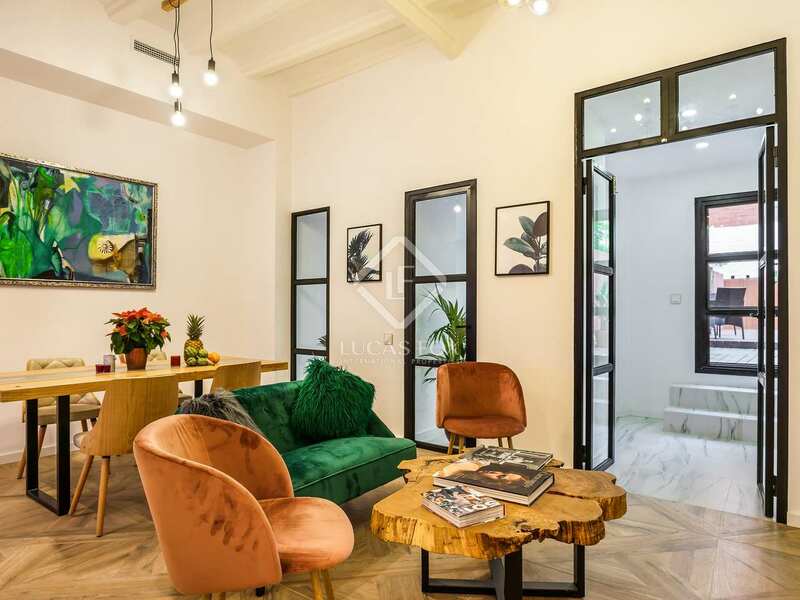 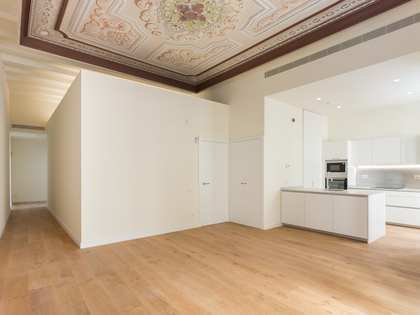 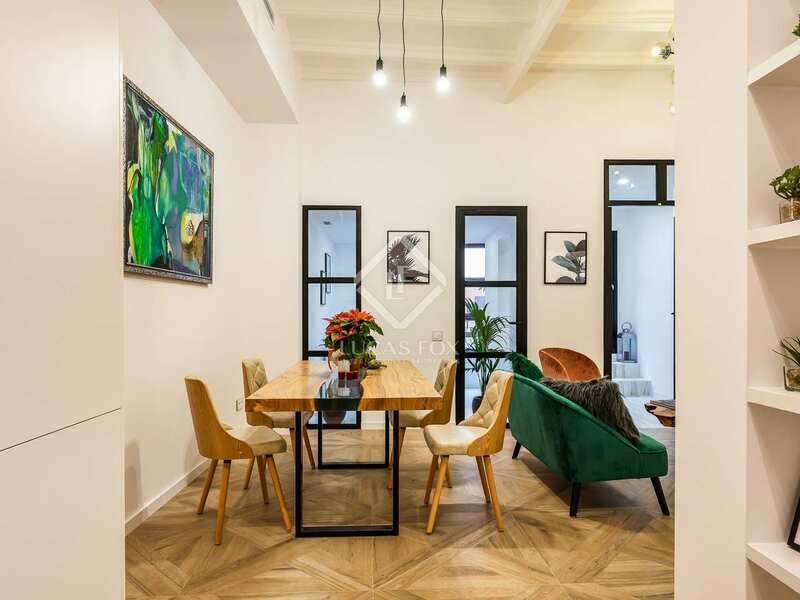 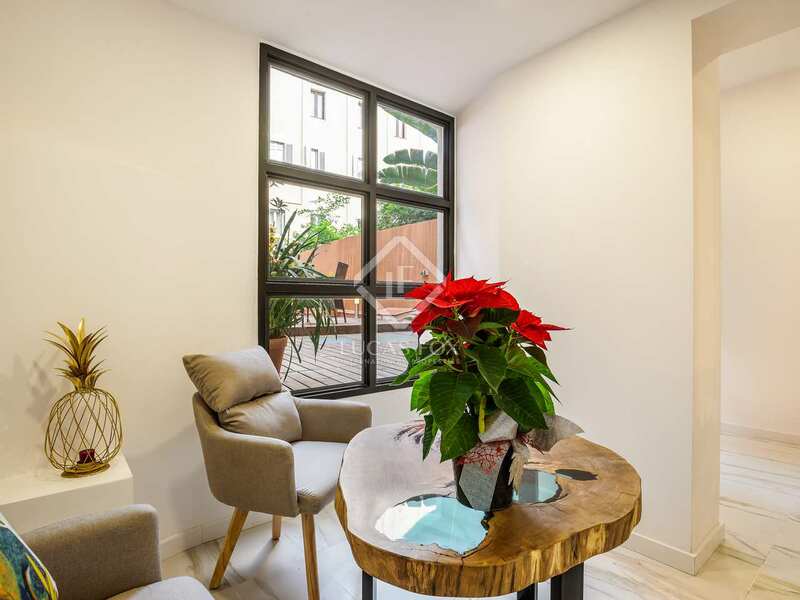 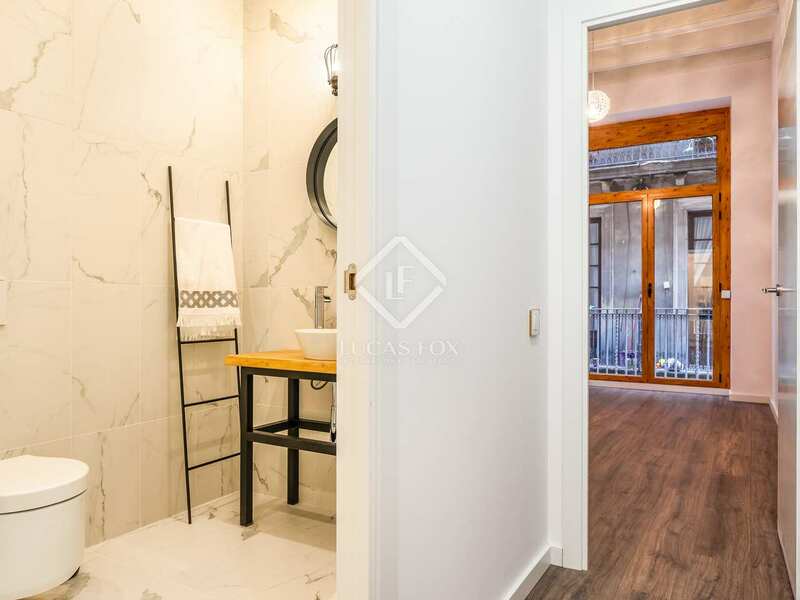 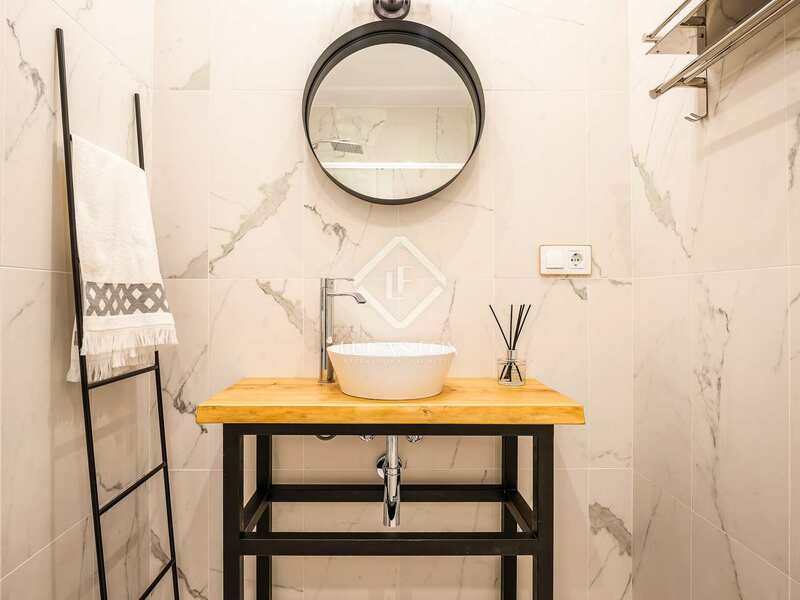 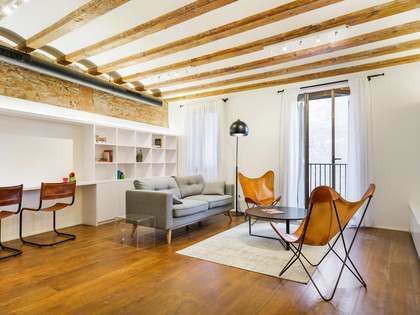 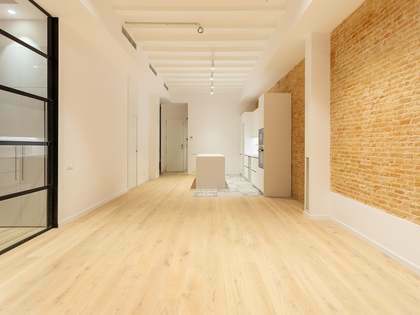 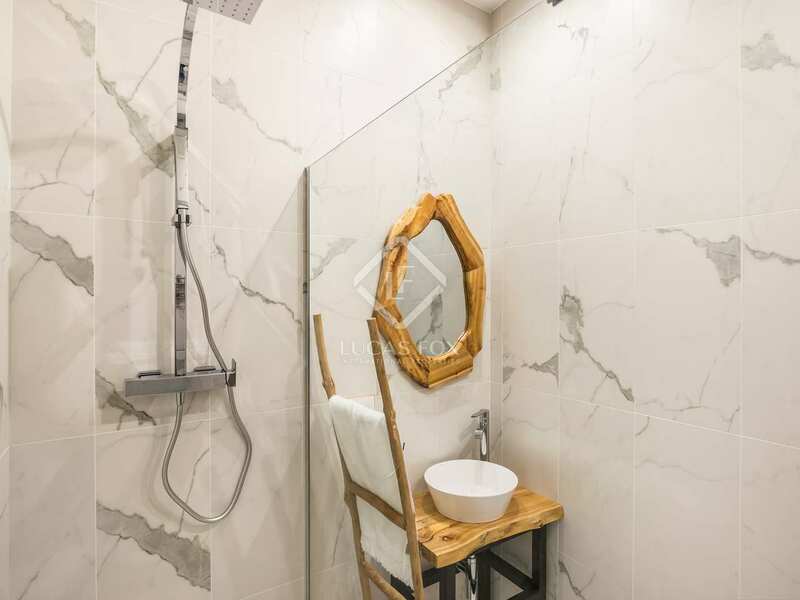 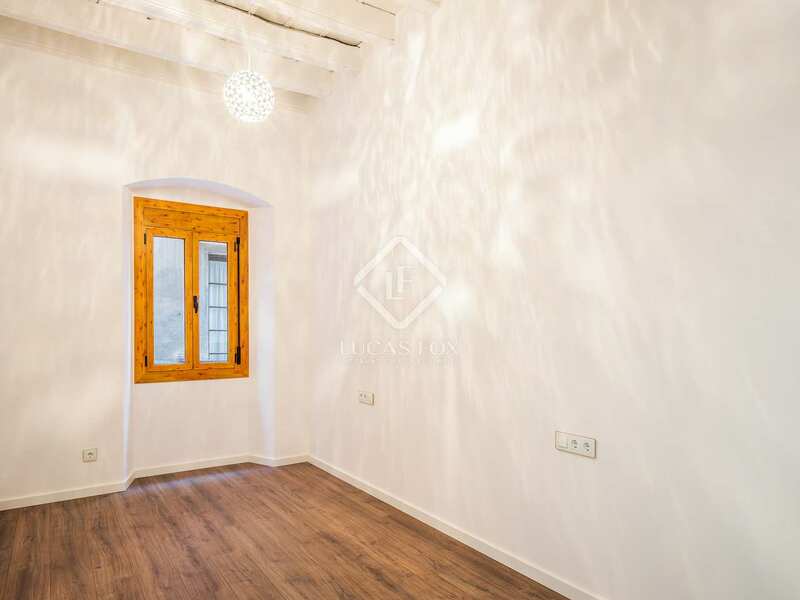 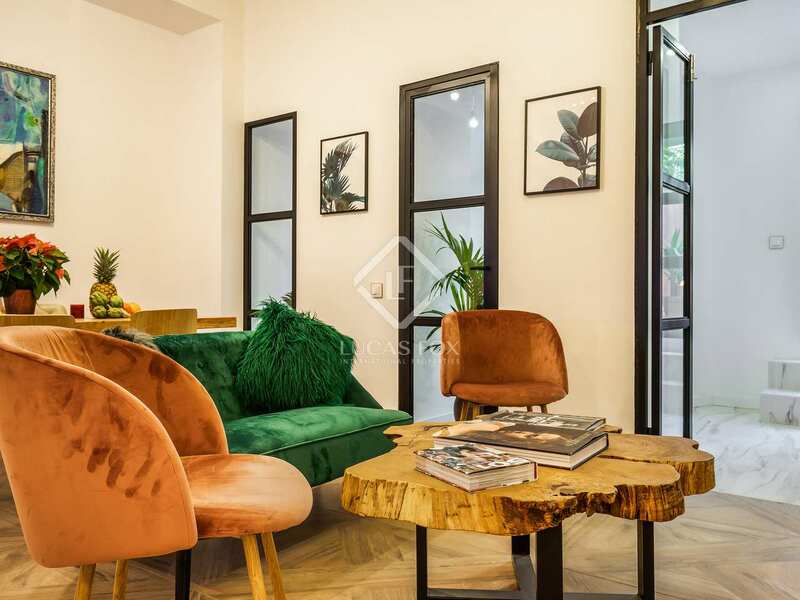 This wonderful apartment, renovated with the best quality materials, is ready to move into on carrer Nou de Sant Francesc, next to Soho House and in the Gothic Quarter. 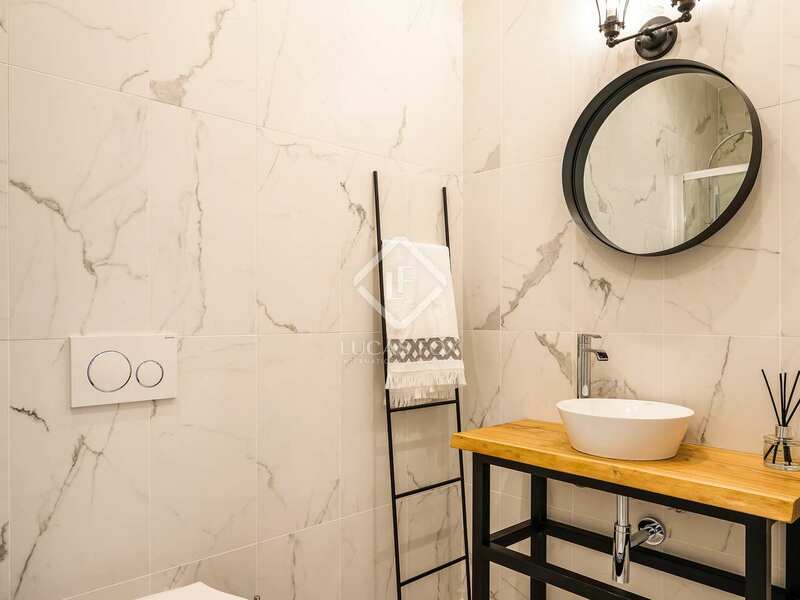 The property enjoys a modern design with neutral colours that add charm to its rooms and it is located in a quiet building with a lift. 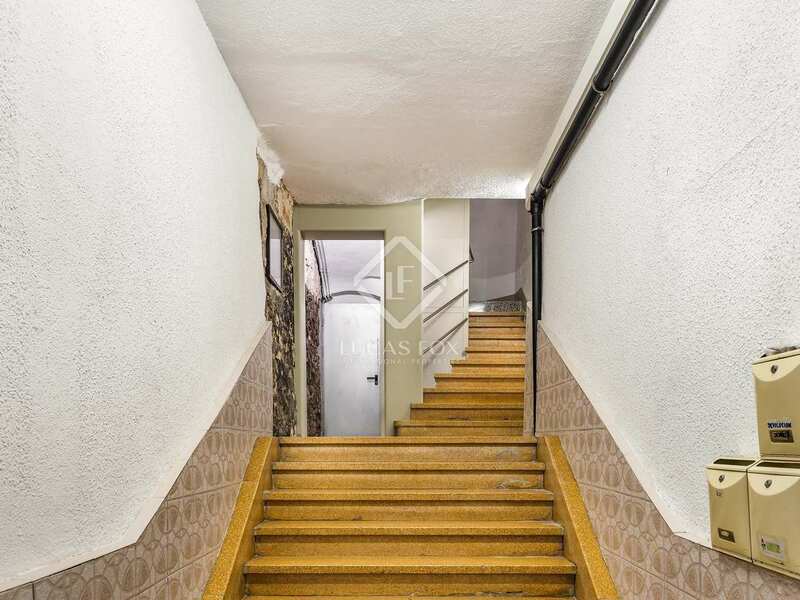 Upon entering, we are welcomed by a good entrance hall. On the right, the property offers a nice living-dining room with access to a pre-terrace room that can be used as a second living room, or as an office. 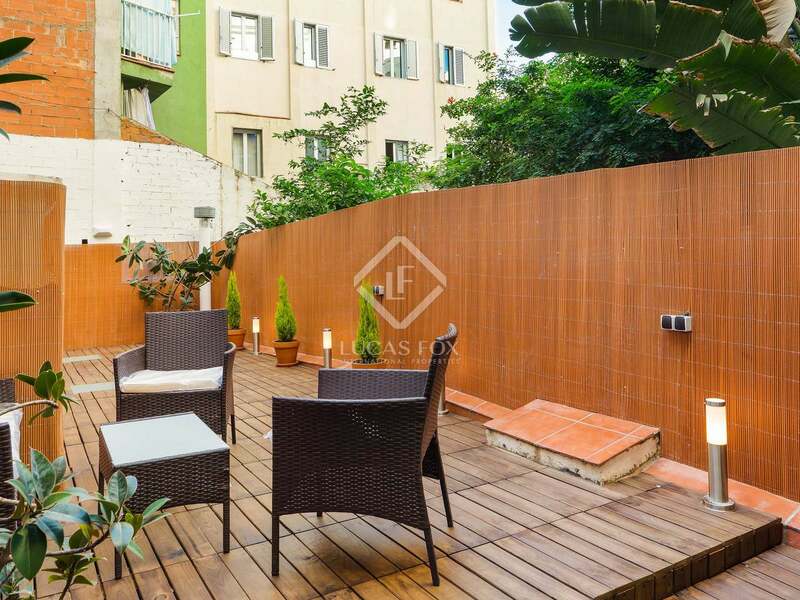 This space has access to a terrace of 40 m² with wooden decking, the highlight of the apartment: a perfect place for a table and chairs to relax after a long day. 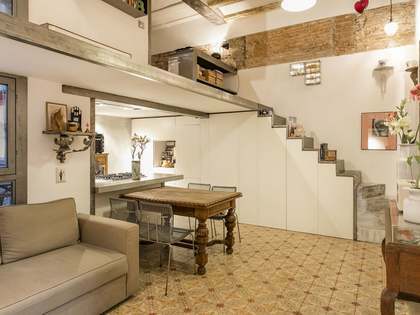 This terrace includes a storage room to maximize storage space. 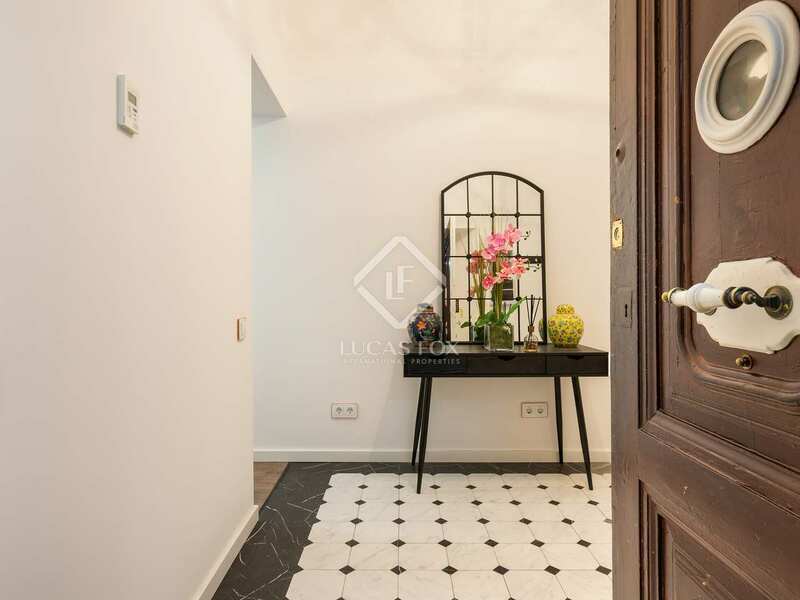 On the left side from the hall, we access the night area, which consists of 2 double bedrooms, one of them with private bathroom, a bathroom that serves the rest of the rooms and a practical space that houses the washing machine and the boiler. 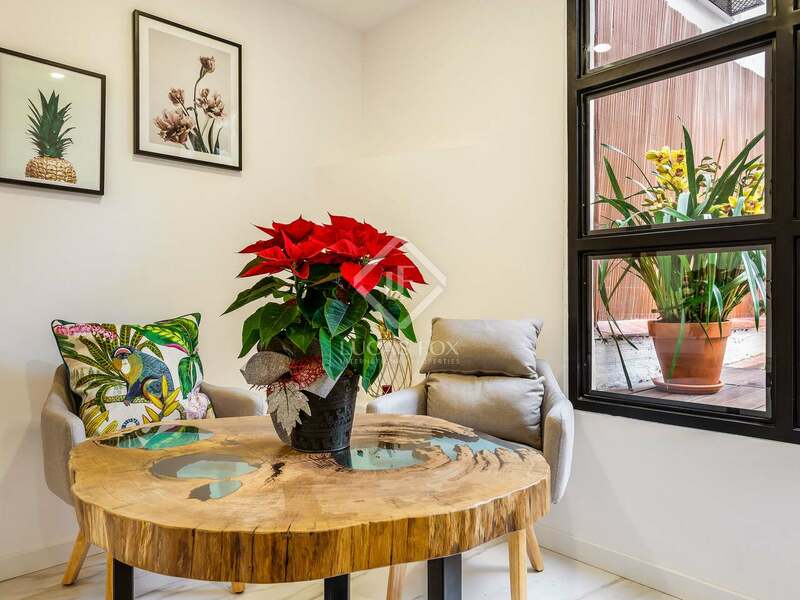 The property has air conditioning and heating to ensure your comfort at any time of the year. 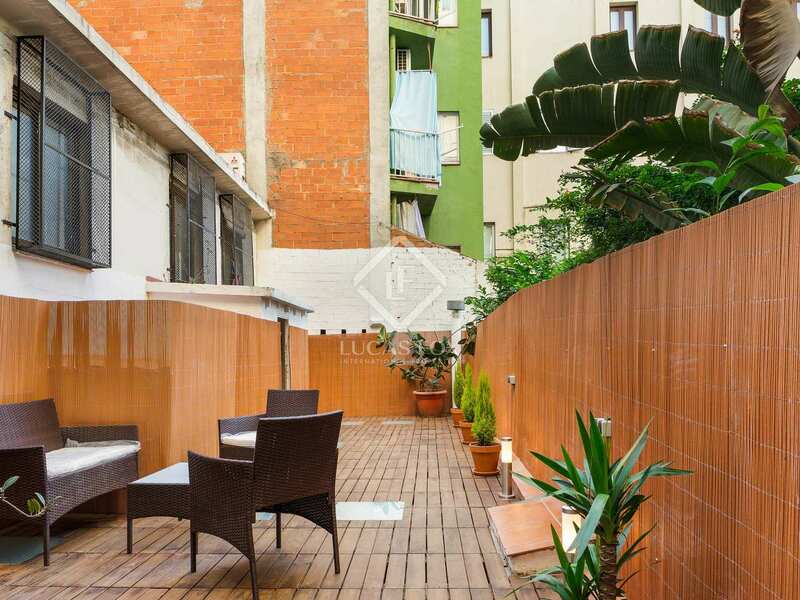 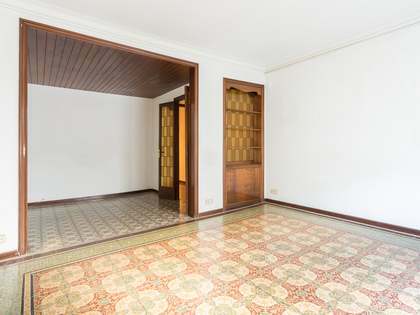 Contact us to visit this wonderful apartment with a terrace in the centre of Barcelona. 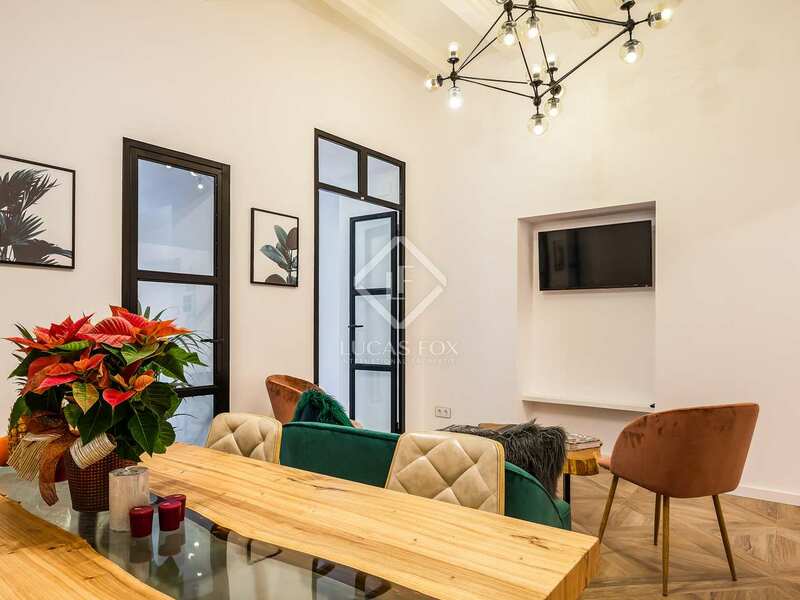 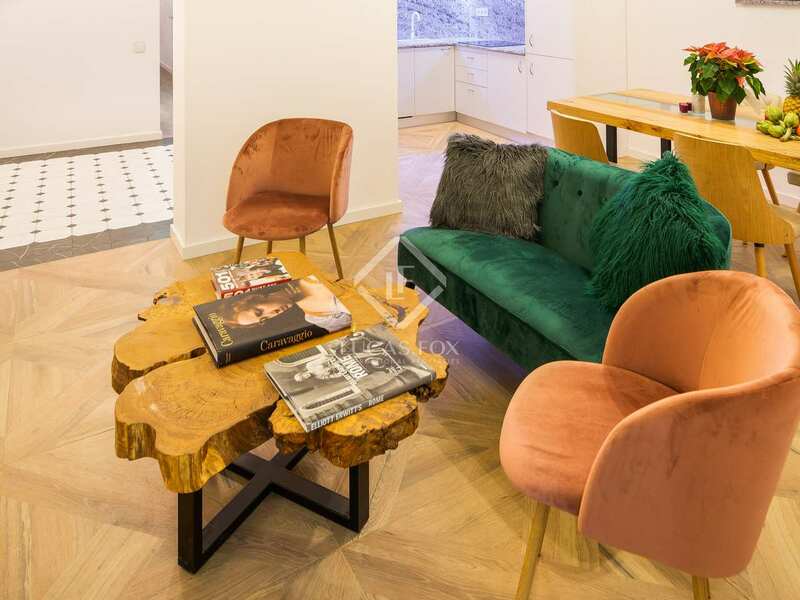 The property is located in one of the best areas of the neighbourhood, next to the Plaça del Duque de Medinaceli and Soho House, an exclusive club for creative professionals. 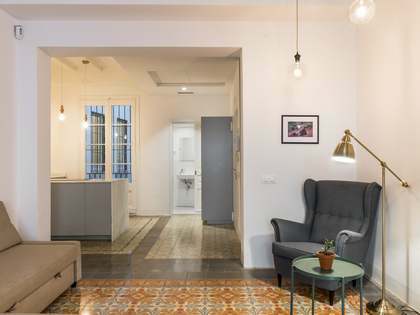 This neighbourhood puts all kinds of services at your disposal, including an excellent public transport network to get around Barcelona. 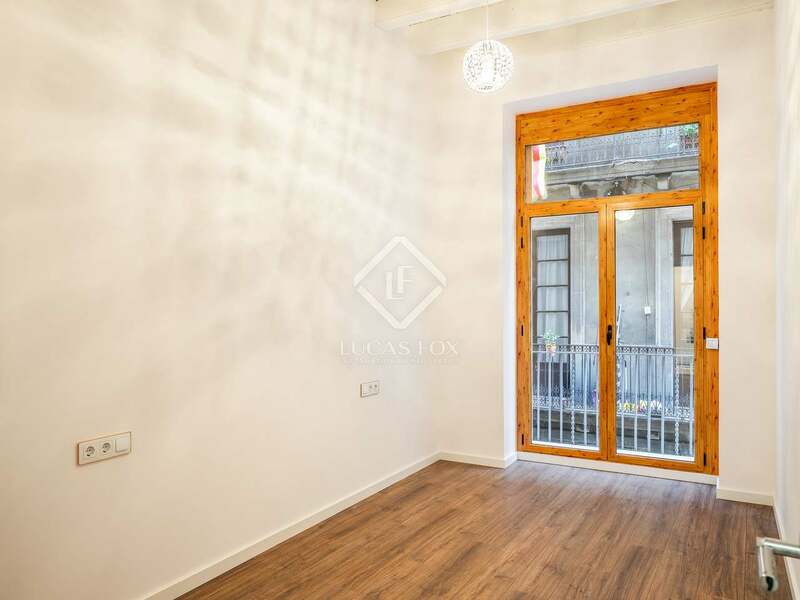 And of course, it is in the heart of the historic centre of the city, where you can take long walks admiring its charming narrow streets and its old buildings.